The sun is shining. The wild flowers are blooming. But spring hasn’t officially sprung in Monterey until hordes of chefs, wine enthusiasts and hungry foodies descend upon the Central Coast for the Pebble Beach Food & Wine festival, April 20-23, 2017. 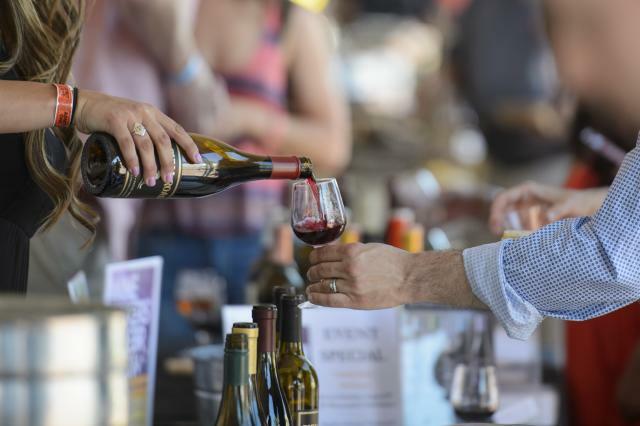 Featuring four days of events, 75-plus chefs and more than 250 wineries, the tenth-annual festival promises to be one of the biggest and tastiest. Chances are you won’t be able sample everything (unless you have the appetite of a local harbor seal). So we’ve assembled the top five most mouthwatering events below. Go ahead. Grab life by the moments. And the plateful. Celebrity Chef & Winemaker Golf Tournament: Bring your “A” game. And your appetite. You may not be able to cook like chef Thomas Keller, but can you beat his drive? Find out while you play 18 iconic holes alongside a who’s who of food and wine. And of course, supplemental food, wine and beverage stations will keep you in top form along the way. Opening Night: Enjoy the views. If you can keep your eyes off the sample trays. Unleash your taste buds on their four-day conquest, as the gorgeous Inn at Spanish Bay becomes an epicurean paradise. 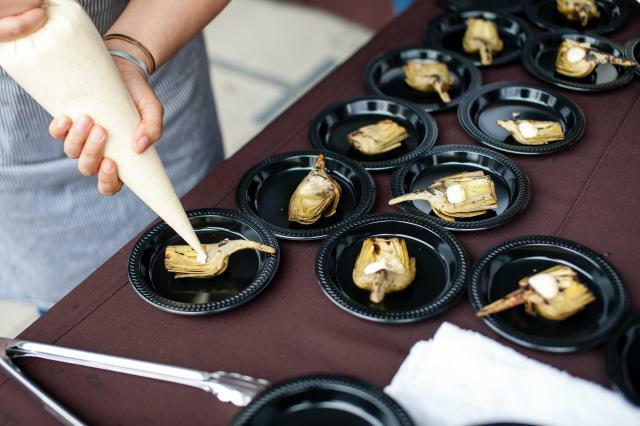 Stroll about as you sample decadent bites from 23 of the weekend&apos;s top chefs. Sip from a selection of over 200 domestic and international wines as the mild Pacific Coast breeze blows through your hair. (Please note: individual tickets are extremely limited). Classic Coastal Cuisine Lunch: Take your taste buds on a road trip. Delight in a truly original lunch at Stillwater. Be there as six chefs from SoCal to Sonoma prepare a course that skillfully showcases Pacific Coast cuisine with a nod to the iconic shoreline that inspires it. Eyes Wide Shut Blind Tasting: Complex. Oaky. But mostly, delicious. Get in on the not-so-secret secrets of how to sniff out the age, blend and origin of several delicious wines. Whether you’re a budding master sommelier or you can hardly tell red vs. white, knowing how to dissect the smells and flavors is a skill worth learning – and then promptly bragging about it. Lexus Grand Tasting: Indulge. And then indulge again. Take advantage of your last chance to mingle, mix and sip with Pebble Beach Food & Wine’s very best. The Lexus Grand Tasting Tent offers over 300 wines, samplings from 30 top celebrity chefs and, as always, opportunities for book signings, photo ops and selfies. Definitely lots of selfies. It’s your last day! Don’t miss cooking with the “wonder from down under” (aka the “Quiet Terminator”, aka Curtis Stone) who has garnered considerable praise as an author, television personality and most of all, master restaurateur.